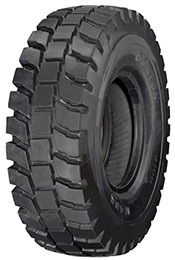 The ECOMEGA M4DR tyres are made for dumper applications; they are the newest evolution in this field. The deep tread pattern ensures highest traction and the special solid centreline maximum performance on long haulage and high speed. 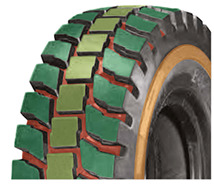 Special rubber mixtures guarantee a longer tyre life, reduce wear consumption and improve cut resistance. The lateral lugs offer maximum performance and highest traction even in harshest working-conditions.